Debbie Hartzer - The Legal Connection, Inc.
Our president, Debbie Hartzer, founded The Legal Connection, Inc. (“TLC”) to provide a better way for legal teams to obtain evidence for their litigation cases. Building on her paralegal education, training and experience obtained from working for numerous litigation firms, she has created a company that genuinely understands their clients and delivers precisely what the attorneys and firm needs to effectively move cases to settlement or resolution. Debbie is a proud native Texan. Debbie’s years of experience in litigation began in 1985 at a litigation firm in North Austin. Within six months of starting her job, she was promoted to head of the collections department where she was in charge of over 3,000 collection files. Since then, Debbie has worked for three other firms managing an electric company Conservatorship assigned through the Texas Department of Insurance, coordinating the opening of an Austin office for a Dallas based firm, managing a docket of foreclosures throughout Texas, and preparing hundreds of banking litigation cases for trial. Debbie found herself typically working for the managing partner and often for more than a handful of other partners and associates. Some of those attorneys include former District Attorneys and sitting Travis County District Judges. Debbie’s last firm was in charge of numerous Receivership cases. She worked closely with the Insurance Departments in Virginia and Texas and was the assigned paralegal to 11 attorneys in the Austin and Dallas offices, solely managing several Officer/Director’s Litigation cases that stemmed from the Receiverships. All of the Texas receivership cases were filed in the Texas Courts, which strengthened Debbie’s knowledge of the Texas Rules of Civil Procedure. She created all the trial and discovery notebooks, databases, and litigation handbooks for each case. Because of the nature of these cases, there were multiple parties and opposing counsel with extensive deadlines. While managing the receivership litigation, Debbie was also in charge of a federal medical malpractice case assigned by Judge Spark’s. This case allowed Debbie to become intimately familiar with the Federal Rules of Civil Procedure as she was responsible for docketing all deadlines and drafting all documents for her attorney. In January 1998, Debbie went to work for Rydman Record Retrieval. During her 10 years with Rydman, in which she eventually had ownership interest, Debbie established and managed the Court Reporting & Videography Departments, learned every aspect of the company, and ended her tenure as Director of Business Development. After the company was sold, Debbie moved on to work in the Computer Forensics investigation world. She was hired at a private company to provide sales and marketing for the newly established division. Debbie was ultimately named Director of Computer Forensics and grew her Division to over $1,000,000 in projected sales. She also grew her staff of one to a staff of five and managed the day-to-day operations, sales, marketing, and financial aspects of the division. The experience helped strengthen Debbie’s discovery expertise in Texas and Federal cases and gave her experience with eDiscovery. 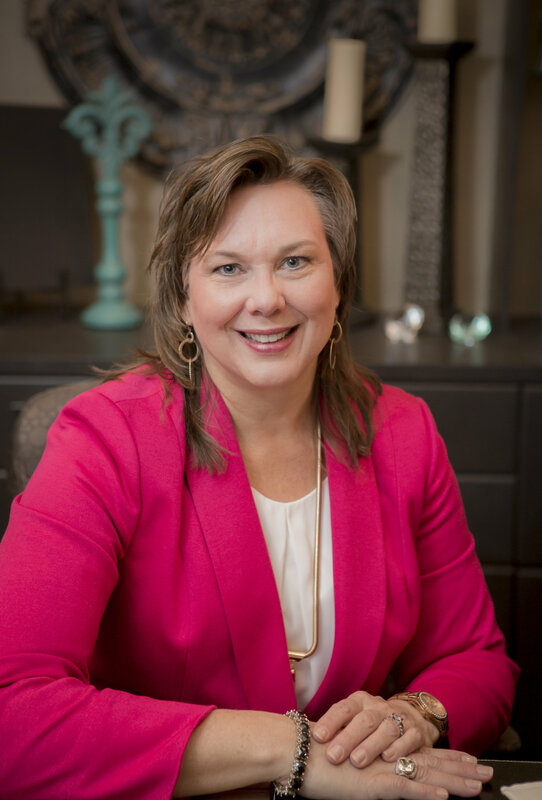 In April 2009, Debbie started The Legal Connection, Inc. to provide premiere litigation support to law firms, legal professionals, and governmental agencies throughout the State of Texas. The company services include Record Retrieval, Court Reporting, Process Service, and Videography. She has grown TLC from her dining room to a staff of more than thirty (30) employees. Her perseverance, attention to detail, and years of legal experience have made her company successful. Many clients seek out TLC because of Debbie’s reputation. Debbie takes great pride in consulting with each client regarding their specific case needs and assisting them in the success of their discovery requests. As a woman business owner and respected member of the legal community, she works hard to instill in her team a devotion to customer satisfaction, attention to detail, and commitment to excellence. Debbie is happy to talk or meet with any client at any given time to strategize, develop, or handle any issues that arise. She is an involved leader of the company, available to her customers at any time and truly passionate about helping her clients with their cases. Unlike many of her competitors, Debbie knows exactly how each piece of the legal process works and ensures her team complies with the laws, whether Federal, State, Administrative or otherwise. Her job is not done until the client is happy. When not working, Debbie enjoys sewing, crocheting, scrapbooking, reading murder mysteries, and spending time with family. Debbie teases she is still married to her first husband, Jay. They have been married since 1989. They have two children, Jessica and Jacob. Jessica recently received her Masters in Healthcare Administration at Texas Tech University and is employed in healthcare as an HR Specialist. Jacob is a Mechanical Engineering student at Texas A&M. Both have been actively involved in the creation and growth of the company.